Margaret Falconer must LOVE her job. After all, she’s been at Rainier for almost 30 years! Margaret’s work “behind the scenes” makes it easier for the Rainier Team to get your household goods to their destination, accurately, dependably and safely! 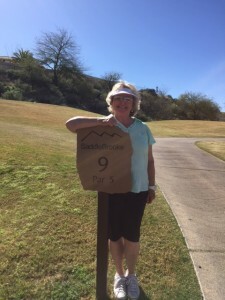 When Margaret’s not at her desk, you’ll most likely find her out on the golf course. Unless, of course, it’s raining. Then you’ll find her curled up with a book, watching a movie, or spending a peaceful day with a good puzzle.